Monty Python Madness is nearby! 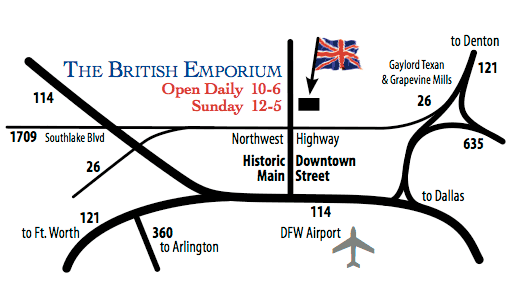 We're just north of D/FW Airport, on Grapevine's historic Main Street just off Highway 114 midway between Dallas and Fort Worth. For more interactive maps and driving directions, check out Google Maps.